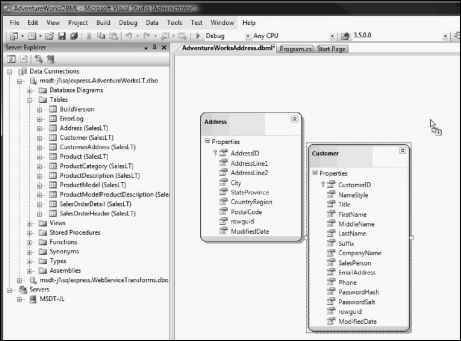 If you wish to employ a traditional normalized database design in your data-driven application, you may certainly do so. In the personnel-management system example, you've likely created a series of data-collection fields for the employee's personal information that you store in a series of normalized tables. Yet you realize that you can't possibly anticipate all the data elements a user may wish to collect. To remedy this, you can create a one-to-many table that stores an unlimited number of data-driven columns. The DataElementID column in the DataStorage table references the EmployeelD in the Employee table. Here, you need to perform JOINs in a stored procedure using dynamic SQL. The stored procedure code shown in Listing 8-10 illustrates how to convert inverted data to a normalized structure and then JOIN it with an existing table. The first section of this code is very similar to Listing 8-11. You need to extract a list of the matching primary key values and then pull the detail data based on those values. The tricky part is shown in Listing 8-11. Here, a normalized temporary table is built from the structure held in the DataDictionary. Then, the primary key value is INSERTed into it, and all subsequent values are UPDATEd one column at a time. The result is a normalized table that can be joined with the Employees table.